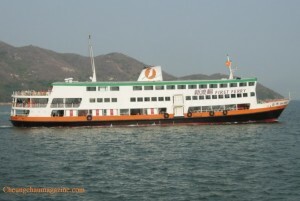 In a paper dated 24th May 2013, submitted to Transport Panel of Legislative Council by Transports and Housing Bureau, it is stated the current ferry operator for the route between Cheung Chau and Central – New World Ferry, can barely make 5% profit in the 3 year license period with Hong Kong Government subsidy. Without it, ferry operator will surely lose 10% on their investment. Current 3-year license will expire in mid 2014, it is expected HK$115m subsidy in total will be used by next year. New Ferry and other operator of the other outlying island routes, Hong Kong Kowloon Ferry, have said up coming subsidy for next 3-year license will reach HK$191m. if no fare increase is allowed. 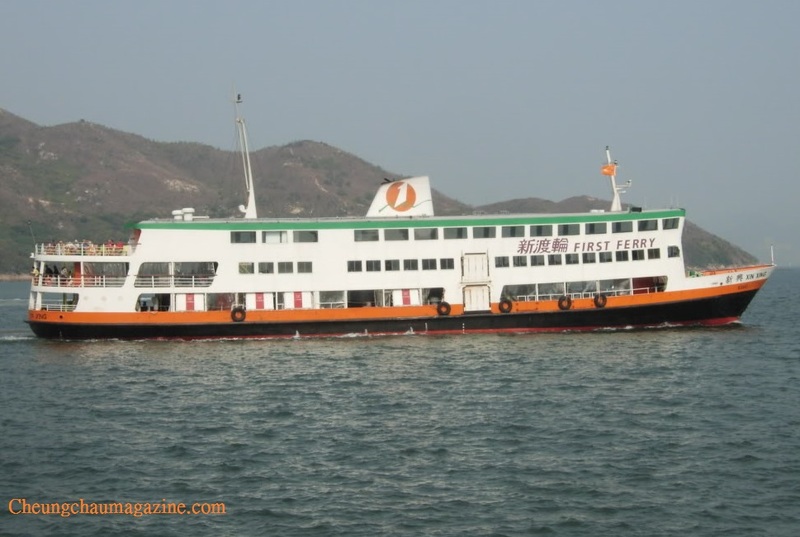 In the paper dated 24th, May 2013, submitted by Transport and Housing Bureau to Transport Panel of Legislative Council, the Bureau stated the 2011-12 subsidy to the 6-route outlying islands ferry operators amounted to HK$37m. Of the subsidy, HK$3.52m was given to New World Ferry for Cheung Chau and Central route children concession fare. It is the highest amount the 6 routes in operation, far beyond the second highest of Mui Wo and Central route, at just HK$1.46m. The subsidy is expected to go up to HK$191m in next license period, based on actual expenses, inflation rate and minimum wages etc. Some legislator queried why not give subsidy directly for fuel expenses, the biggest expenses item in ferry operation. 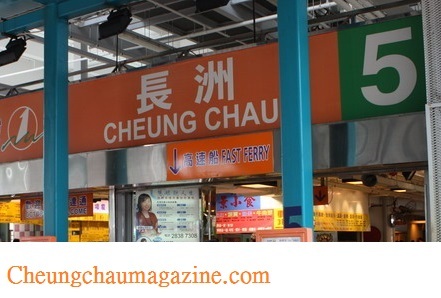 Average daily passenger volume for Cheung Chau and Central route amounted to 23,610, much more than 11,648 for Discovery Bay and Central route. In the Legislative Council Finance Committee – Public Work subcommittee paper dated Feb 5th. 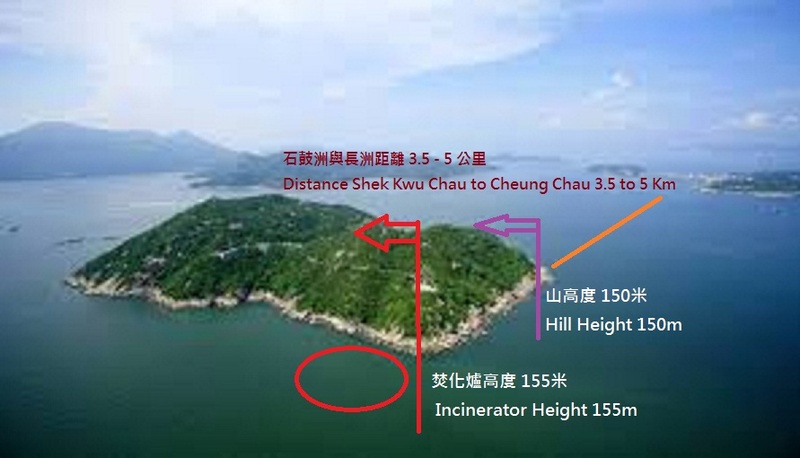 2013, the Director of Water Supplies seeks for funding of $254.8m to upgrade water supply pipeline to Cheung Chau. A new method, horizontal directional drilling (HDD), will be employed to replace the conventional submarine pipe lying method, at a cost of 1.4 times higher to upgrade the current 500mm diameter submarine water main. The HDD method will have little impact to the environment, avoiding disruption to the busy marine traffic at Adamasta Channel near Cheung Chau. Also, the old method will not be viable as there were inadequate sea-front areas on Cheung Chau for it to work on. Contingency plan of deployment of 6 vessels is drawn up to supply fresh water to Cheung Chau in the event of emergency. 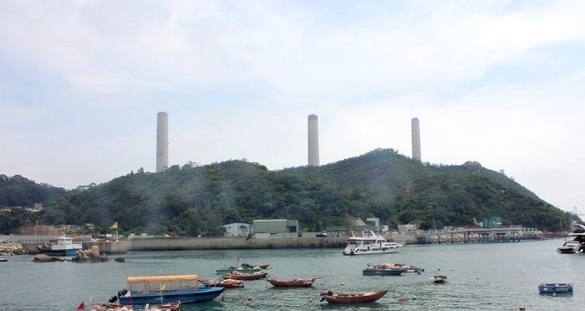 In response to public opposition to the proposed Shek Kwu Chau Incinerator, Environment Bureau/Environmental Protection Department, submitted a written response in 2012 April 20th to Legislative Council, Panel of Environmental Affairs, to put the issue into perspective. “Even at zero growth rate and 55% recovery rate, by 2018 Hong Kong still has 8,500 tonnes of solid waste to be landfilled even with introduction of waste charges in future. Without the incinerator to handle 3,000 tonnes per day, waste burden on landfill will be 11,500 tonnes per day in 2018. Three landfills currently in operation will exhaust in 2014, 2016 and 2018. Incinerators design and construction time will take 2-7 years. The Shek Kwu Chau facilities will include advance flue gas treatment system to meet the most stringent European standard, modern desalination plant, waste water treatment plant, comprehensive landscaping, environmental education centre, waste to energy renewable energy system. All these facilities will be built on an artificial island. 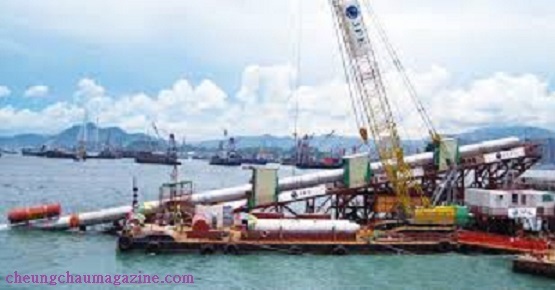 Reclamation work, berths and seawall construction, sub-marine cables will cost additional HK$2.4 billion. 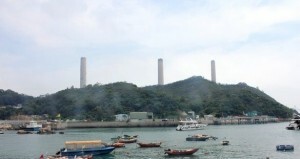 In view of public concern on Shek Kwu Chau proposed Incinerator, Government presents public consultation result through Panel of Environmental Affairs of Legislative Council on March 26th, 2012. Cheung Chau representatives actively expressed their concerns. Cheung Chau Kaifong Society, Ms. Kwong Wai-kuen opposed to the notion a low cost version at Tsang Tsui Ash Lagoon is not adopted where as a high cost version is recommended in Shek kwu Chau with massive reclamation impacting environment negatively. 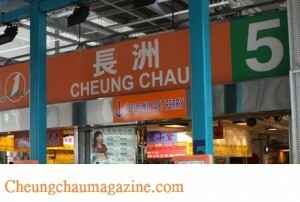 On top of it Cheung Chau feng shui is adversely affected. 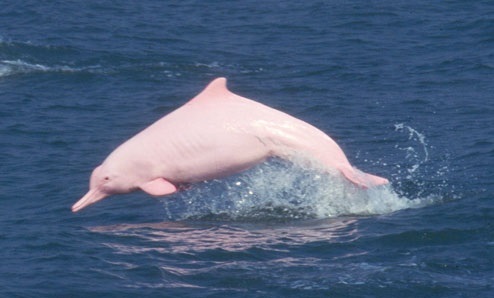 Chairman of Cheung Chau Wei Hoi Luk Clansmen Ltd, Kwong Sai-loi, opposed with concern on air pollution with toxic pollutants, construction leading to undermining eco-tourism in Cheung Chau and to destruction of Chinese White Dolphin habitat. Effort should be made to reduce and recycle waste as incinerator is not imminent. Chairman of Cheung Chau Ching Wa Sports Association Limited, Siu Ka-mum, opposed it for its proximity to Cheung Chau and potential health threat. He added that maintenance cost would be high with desalination and waste water treatment facilities. Most effective way to tackle waste problem was through reuse, recovery and recycling. Chairman of Cheung Chau Tai Sun Street Kaifong Society, Johnny Hung, stronly opposed to it for its further erosion of fishing ground, negative impact on Cheung Chau tourism. More importantly, the EIA is based on outdated bechmark. Chairman of Cheung Chau Chinese Merchant Association, Kwong Kwok-wai, concerned with high construction cost and its effectiveness, as well as transport network and supporting facilities. Chairman of Cheung Chau St. Heart School alumni, Wong Pak-ling, asked the Government to withdraw the development completely given its negative impact on Cheung Chau in terms of health and its proximity. This development is also offensive to deity and ancestors given its location facing Pak Tai Temple and Cheung Chau Cemetery.